Click here to download this press release in .PDF format. This how-to, motivational, nonfiction book is for all who aspire to live with inner peace and prosperity. 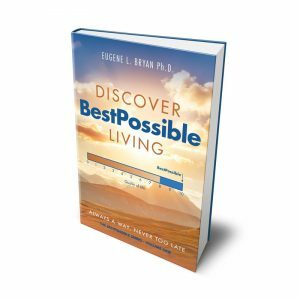 With Discover BestPossible Living as a guide, readers will learn to reach their full potential in all aspects of life. Mother Nature has equipped each of us to live best-possible lives but we come without instructions — she leaves it up to us to learn how to use our natural gift of freewill to make our lives the best they can be. This book will is to help people learn to live according to nature’s intent. The book’s author, Eugene L. Bryan, PhD (Gene) is a trailblazing authority on the subject of enterprise optimization. 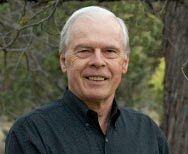 Here he applies decades of experience to develop a nature-based method for people of all ages to become their best-possible selves. In this book he provides individuals with insights and lessons they can use to optimize their lives. Using the patterns and laws of nature as his inspiration, Dr. Bryan has created a step-by-step handbook to help you reach your full potential — he offers a blueprint to create a better you. This unique self-improvement guide is your personal coach for each step toward self-actualization. Customer Testimonial: “This book is a clear, concise, comprehensive guide for how to achieve the most out of your life. If only we could get all young people to read this book. It could help them have a great life.” – Jon T.
As an interested unique individual, you can learn nature’s way to set goals, achieve them, and reach your full potential with help from Discover BestPossible Living!